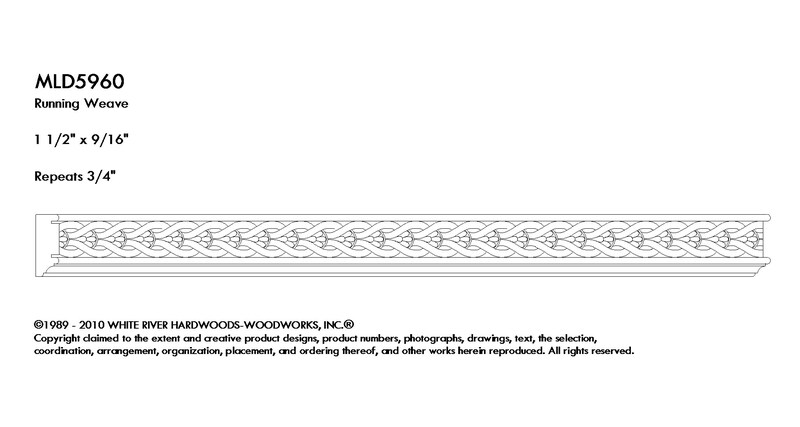 White River's Moulding Collection offers over 90 handcarved profiles in Maple and Cherry. This Collection features the most popular acanthus leaves and egg and dart motifs, plus innovative motifs including cornucopias, palmettes, laural with rosettes and more. These products are designed to be used alone or combined together to create larger scale details. These handcarved mouldings add immeasurable depth and drama to any room- including ceiling crowns, beamed ceiling , mantels, library, kitchens and bath cabinetry, or custom furniture creations. All profiles are in-stock in Maple and Cherry at 96" lengths, ship unfinished and can stain or paint.